The Yateley Complex and its famous carp are known by every carp angler in the country and probably most of the world for that matter. Although they have never produced a record carp, Bazil, Heather, Jumbo and their mates have been pursued by the UK’s top carp anglers for over fifty years. 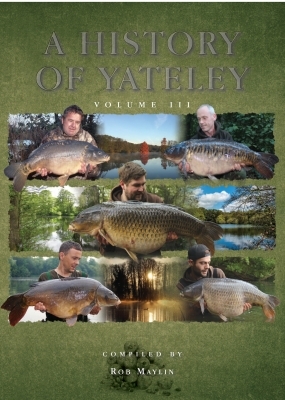 Think of any famous carp angler in the last half-century and you can bet your life he’s trodden Yateley’s sacred grounds. Some only fished the odd season; others have spent a good part of their lives in pursuit of these legendary carp. They would all tell you that Yateley is a very special place. It has that unique vibe that very few carp waters aspire to. Why? Well it’s a combination of factors: beautiful surroundings, peace, awesome scaly beasts with a reputation for being difficult to put on the mat, a great camaraderie within the syndicate and a chance to become part of England’s great carp heritage are just some of the reasons. 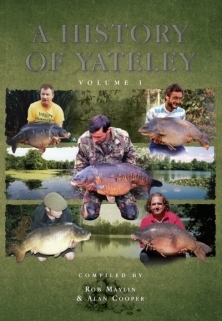 Yateley meant different things to different people: to some it was a way of life, to others an obsession, but for certain no one that fished Yateley ever took catching its residents lightly. 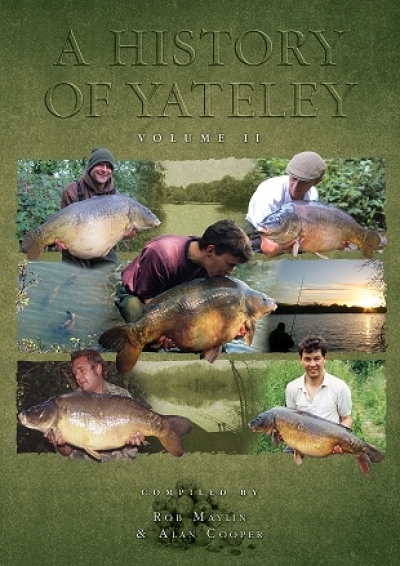 This book compiled by Alan Cooper and me represents just a fraction of Yateley’s history; it would have taken ten volumes and not two to include every angler who had achieved a personal best or goal. What we have tried to do is encapsulate the essence of this special complex. We have experts on the stockings and the early years and chapters from the anglers who caught these legends at their best weights. Each lake has its own introduction written by Alan, and there are beautiful maps and drawings to accompany every lake on the complex. We have also tried to include every carp that ever lived at Yateley – not an easy task, but one we have taken pleasure in achieving. Not every famous angler who ever set foot on Yateley is mentioned here, but most are. This book is dedicated to the friends we lost along the way – great friends who left us with such special memories of our times on the bank together. I wish they were here to read it too, but alas each and every one of us only has a short time on this earth to enjoy such special places. We have also decided that all proceeds will go to the MacMillan Cancer Support, through our good buddies at Stoney and Friends – a fantastic charity helping people affected by this terrible illness. It only seems right that this wonderful venue that has given so much to us, the anglers, has the chance to help so many people in need. Yateley’s future is in the balance as I write this – some would say we have chosen a perfect time to write a book about Yateley. My hope is that this historic venue will have many more great years ahead; that it will someday return to its glory days of the last five decades and that one day there will be another book about Yateley, filled with stories of more legendary carp; carp that are yet to be named but will be equally as special as those in my lifetime. With God’s good grace all these things are possible.